Last Saturday May 17, was the International Day Against Homophobia and Transphobia or IDAHOT, a day where communities stand up against violence and oppression. It is also a day to promote freedom, diversity, and acceptance. 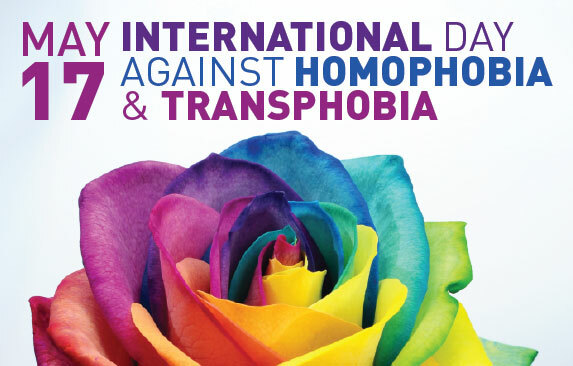 In 2013, IDAHOT was celebrated by events held in 113 countries and was officially recognized as a National day in Belgium, United Kingdom, France, Luxemburg, Spain, Brazil, Croatia, and by the European Parliament. 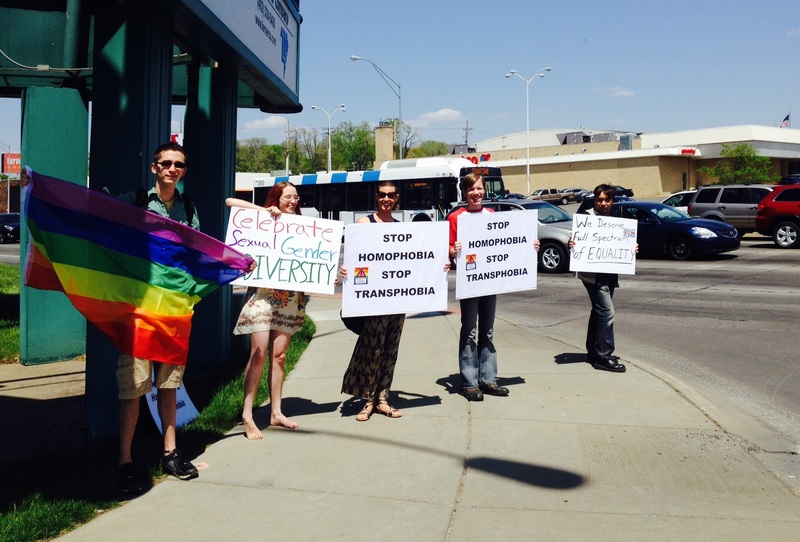 In Omaha, Nebraska – IDAHOT was celebrated by a rally at the intersection of 72 and Dodge Streets where LGBTQIA (lesbian, gay, bisexual, transgender, queer, intersex, and asexual) community and allies gathered to take a stand against hate and violence. At the rally, we also called for full federal equality and encouraged people to take the Full Equality Pledge because the LGBTQIA community is entitled to equal human rights. In 29 states, you can be fired based on your sexual orientation and in 32 states based on your gender identity. In 29 states, you can be denied public accommodations (hotels, restaurants, etc.) based on your sexual orientation and in 34 states based on your gender identity. In 33 states, there is no law giving protection to K-12 students who are bullied and harassed based on their sexual orientation and gender identity. It was awesome and uplifting to see the reaction by the people driving by. I full heartedly believe that we made a big impact on the hearts and minds of people in Omaha who saw us saturday rallying against hate and standing up for full federal equality. From the child sitting in the backseat of his mother’s car seeing people standing up for human rights, to the sister who will get a picture of her brother and his daughter standing with protesters fighting for her rights. It was a powerful rally. I am glad to have been a part of it and NO ONE can take that away from me. United Nations office of the Commissioner for Human Rights released a video campaign for the day. President of Costa Rica raised the rainbow flag outside the Presidential Palace. Next Help My Friend Tati Out!